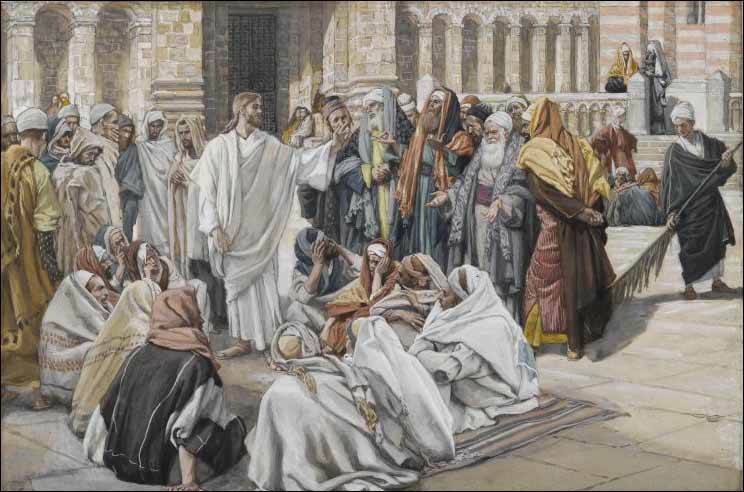 On his final week of his mortal ministry, Jesus was asked several questions by certain groups of people. One question came to him from the Sadducees. The Sadducees were trying to embarrass and find fault with Jesus. They were a Jewish sect that denied the resurrection (see Acts 23:8). Their question was based on the Levirate law, which stated that when a man died, his brother was to marry his wife to raise up children for the deceased (see Deuteronomy 25:5). The answer Jesus gave them was that the first brother had married for eternity; the others had married for this life only, to raise up seed to the brother. Their real issue was not to discuss marriage, but to dispute the resurrection. Jesus puts them right when he states, “as touching the dead, that they rise… He is not the God of the dead, but the God of the living: ye therefore do greatly err” (Mark 12:26-27). Jesus stated in both the Matthew and Mark account that the issue with the Sadducees was that they did not understand the scriptures, that the resurrection is a reality. The Sadducees were trying to trip Jesus up with an extreme example of marriage to disprove the reality of the resurrection. Jesus was not stating that marriages end at death. These Sadducees, who denied the resurrection, endeavoring to catch the Lord in his words, set a trap for him. In asking their question, they said that a certain woman had been married seven times, or at least had lived with seven men presumably as her husbands, in accordance with the law as designated by Moses. Since these Sadducees did not believe in the resurrection, neither did they believe in marriage for eternity; and they thought there could be no suitable answer to their question. What if my parents broke their marriage covenants? What if they were not married in the temple? Can a person be exalted as a single person, or is marriage required for exaltation? Does the family unit exist in the eternities outside the Celestial Kingdom? In other words, can I have a telestial eternal family unit? If I am raised a member of the Church, but cannot find a suitable marriage partner within the Church, isn’t it better that I marry outside the faith than not at all? If I don’t have the opportunity to marry in the temple, will I lose that blessing? What about second marriages outside of the temple? What happens when a woman is married in the temple and then the husband dies and she remarries? Where does divorce fit into all of this? I have found the teaching of Joseph Fielding Smith found in Doctrines of Salvation, volume 2, to be very useful when dealing with these types of questions. Rather than handle the multitude of questions students have with respect to marriage, divorce, and all the other variables that come into the equation, I have learned by experience that it is best to point them to the words of the prophets and let them learn for themselves, to seek out the answer that fits their circumstance. I am including the words of Joseph Fielding Smith contained in this work here for students and teachers to use so that they will have these teachings available. I also include his work in PDF form here. 1. Joseph Fielding Smith, Doctrines of Salvation Volume 2:58-91, emphasis added. 2. Joseph F. Smith, Gospel Doctrine, p. 280. This entry was posted in Jesus Christ, Marriage, New Testament, Uncategorized. Bookmark the permalink. Very helpful! A lot of questions about love, marriage, and divorce do arise, especially when the sacrament of marriage maybe isn’t always taken as seriously as it should.